Like most boys under 5, they were wild and silly, but when they snuggled up next to their baby sister, they were so gentle and sweet. They melted my heart into a puddle. 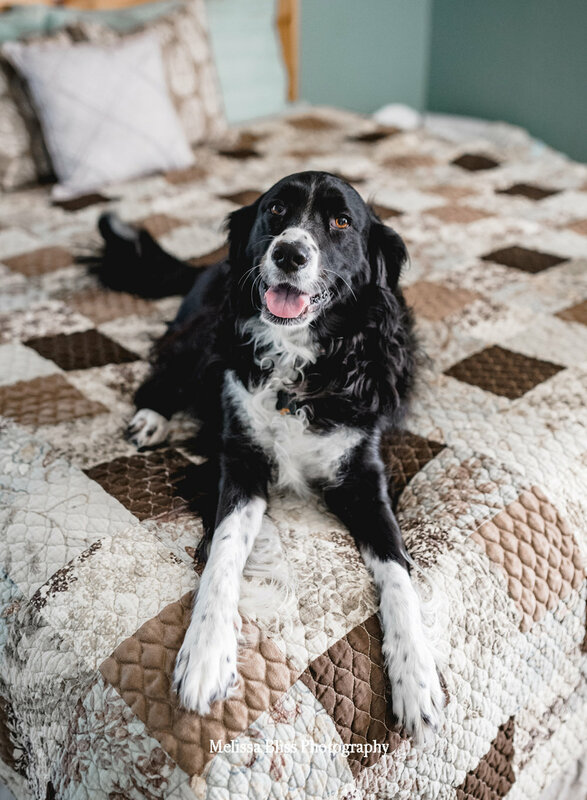 When the whole family snuggled up on the bed together, the room was so full of love and light and joy. I can’t really even put into words how beautiful and heartwarming it was. The photos tell the story better than I can, so I think I’ll just leave it at that. Lifestyle and Wedding Photographer serving Hampton Roads, VA. Available for travel. Thanks for visiting! If you enjoyed this post, please share it. Thank you!! Hi friends! This weeks I have some sneak peeks from another charming newborn session to share! I met the Joseph family for the first time back in the fall of 2016. They booked a fall family lifestyle session at Windsor Castle Park, and I fell in love with this awesome little family then. After that first session, I shot a lifestyle family maternity session for them. 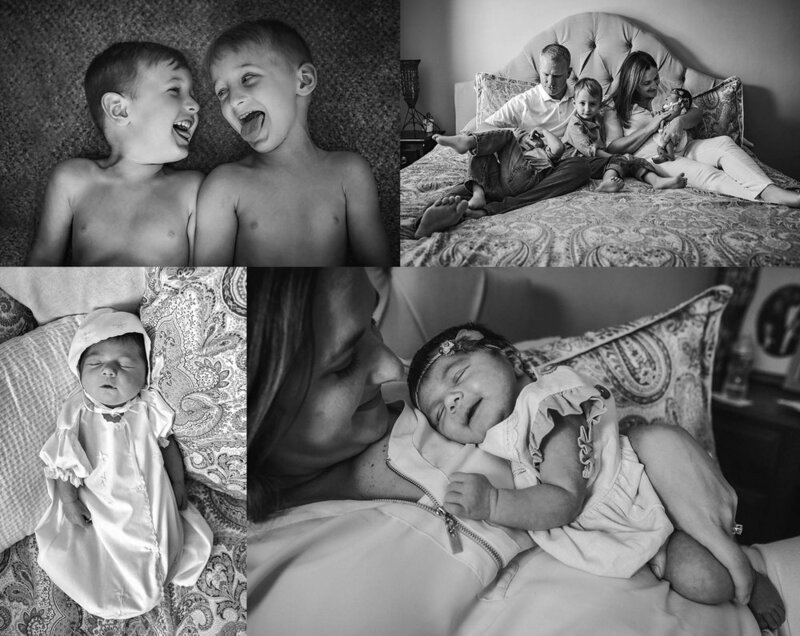 Then, I was honored to photograph some of their first days at home with their beautiful new baby girl. Hang onto your heartstrings folks, because these images are SO sweet they are sure to tug at you. I am so smitten by this adorable crew! I seriously could have shot them for days. Sadly, they told me that they will be moving away from Hampton Roads in the coming months. That news was such a sincere bummer. I am thankful I have had the chance to get to know them and share some memorable moments. They will always hold a special place in my heart! I'm sharing peeks today from a sweet little newborn lifestyle session in Norfolk. I met the Van Hooks just before Easter, at their lovely home in the Larchmont area. They have a brand new baby boy, Jackson, and he is just the bees knees, I tell ya. 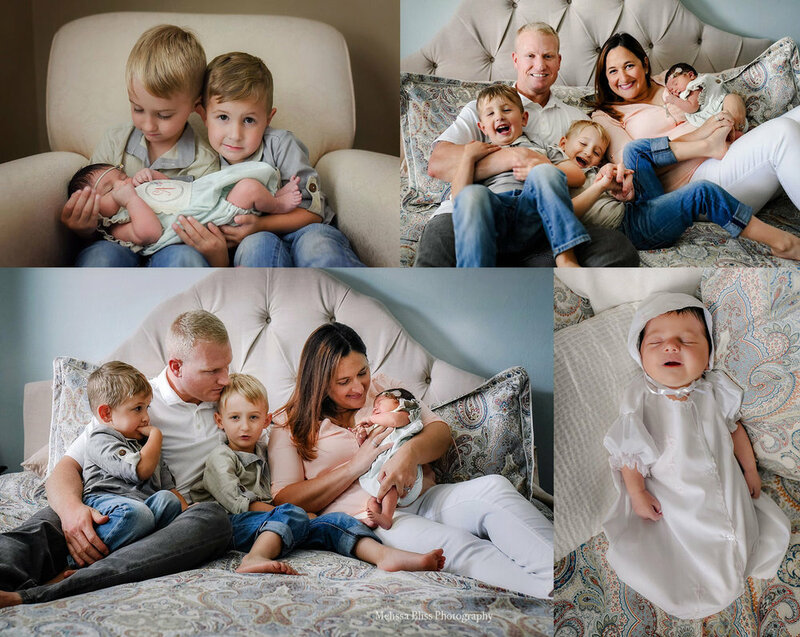 Mom and Dad are doing a fantastic job of sharing the new work load, and all the trials and tribulations that come along with caring for an infant 24/7. They were warm, friendly, and laid back, with that easy southern charm that makes you feel right at home from the moment you pull up in the driveway. If you enjoyed this post, please share with others. Thank you! Creative Lifestyle and Wedding Photographer serving Hampton Roads, VA. Available for travel. Today I have a super sweet newborn lifestyle session to share with you! This baby girl and her family stole my heart and gave me a case of baby fever. And that pooch?! The sweetest! 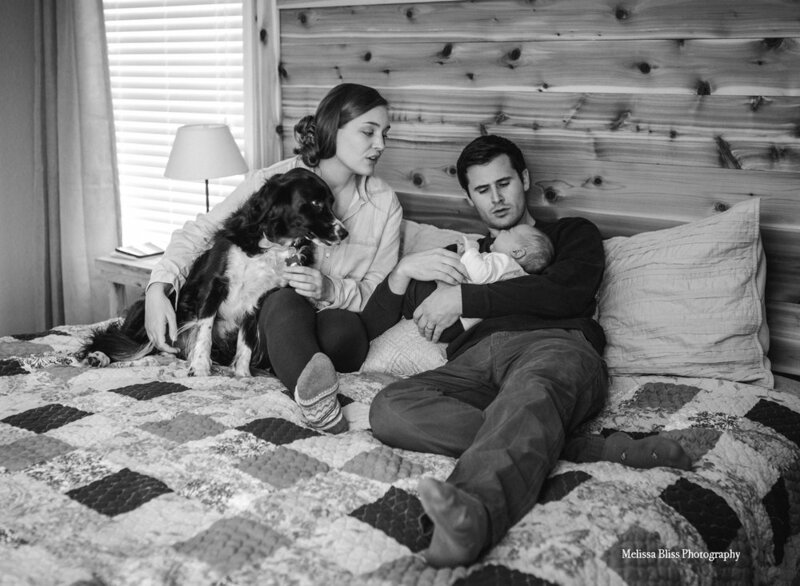 Mallory contacted me a couple of months ago to schedule an at home newborn lifestyle session for late November. Her sweet baby girl, Penelope, would be a month old then, but it would be the first time her daddy was home to spend time with her. 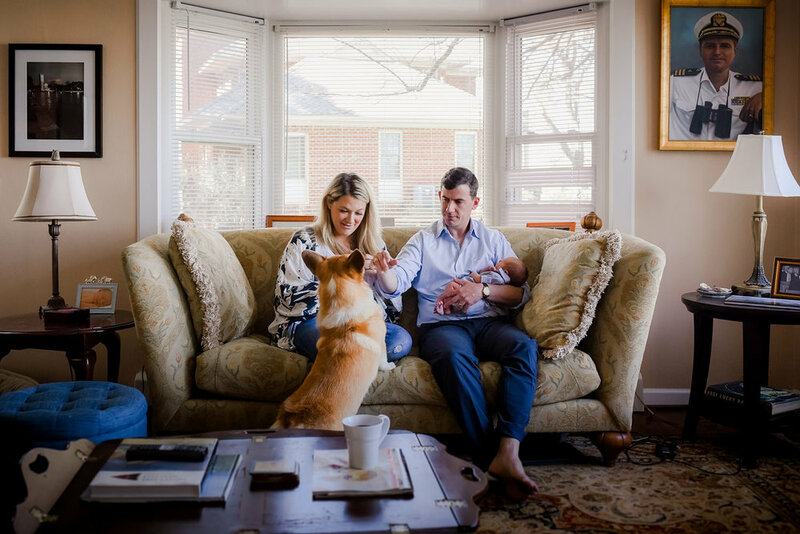 He was on deployment during her birth, so Mallory wanted to make sure they had some beautiful family photos to celebrate his homecoming, and their first days as a family of three. 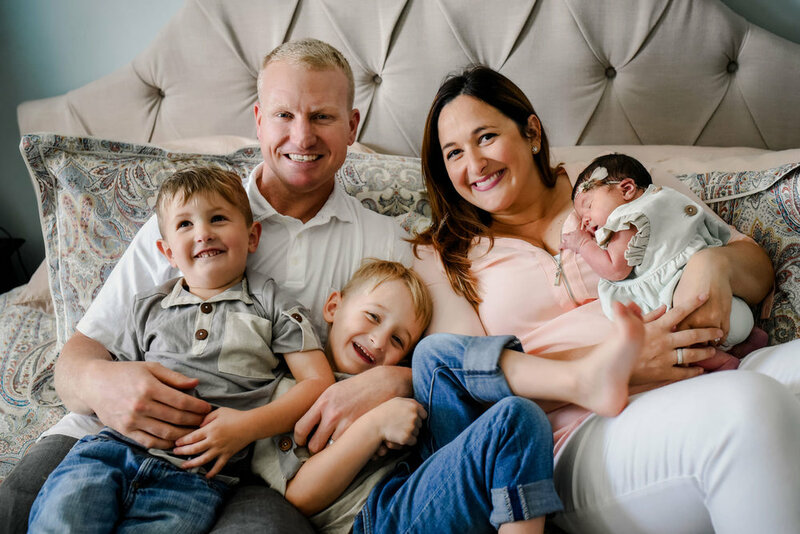 I am a huge baby lover, and have a soft spot for military families (I know the struggles first hand), so I couldn't wait for our session! I spent an hour with them as they snuggled, soothed and loved all over sweet Miss P. My heart just melted over the way her daddy looked at her, and the way her mama soothed her cries. And their pup was so gentle and eager to be a part of it all - I fell in love with her too! I honestly wish I shot more newborn lifestyle sessions. They always tug at my heart so. What is more precious than those first few days with a newborn?! I adore this beautiful family and thoroughly enjoyed spending time with them. I am so happy that we were able to create these images so that they can hold onto these cherished fleeting moments for years to come. 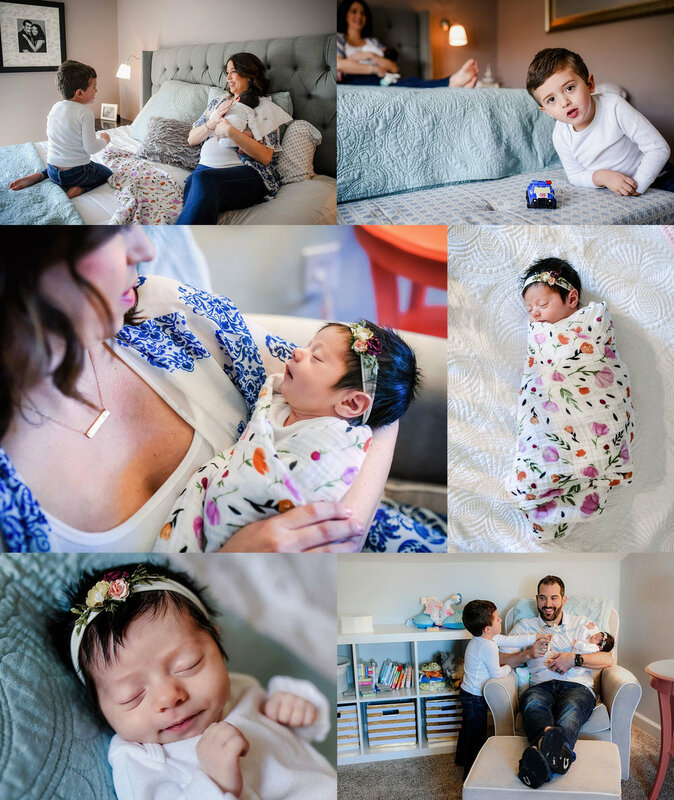 Oh, how I adore in home newborn sessions! There is nothing more precious than those first few weeks at home with a newborn. Seriously. Life doesn’t get sweeter than this. I had the honor of photographing maternity portraits for this beautiful Virginia Beach couple last spring and knew immediately that they would be amazing parents! I was so excited to meet their baby boy! We planned an in home session for shortly after they returned from the hospital and we all waited anxiously for his debut! This session, like their maternity session, is one of my all time favorites to date. This gorgeous family will forever hold a warm spot in my heart. I am so thankful to have such wonderful clients and to be able to collect these beautiful memories for them.